Ditch Plains is a casual cool, stylish spot known for it’s fresh seafood, such as their oyster shooters, fresh fish of the day, fish tacos, warm crab dip, their famous lobster roll or just all around good comfort food such as their fried pickles or their DITCH DOG, a hot dog smothered with mac’ n cheese. But what I am blogging about is none of the above. 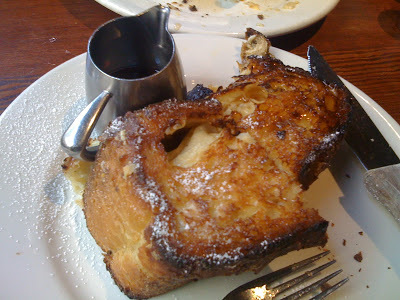 What is worthy of a blog post is their incredibly unique and awesome FRENCH TOAST. 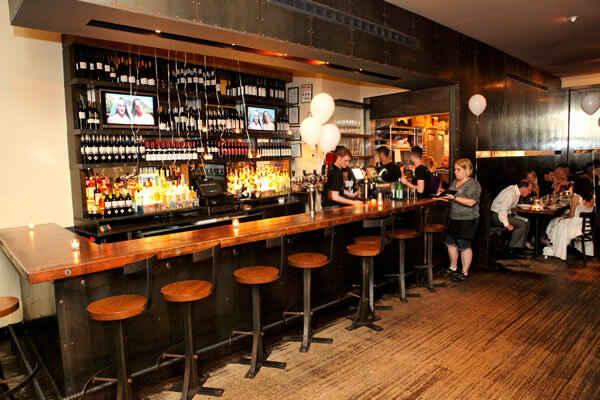 Ditch Plains is located on 29 Bedford Street in New York City in a quiet, quaint and charming neighborhood in West Village. It has a sleek, trendy-casual feel, and it a perfect place for brunch because they have amazing breakfast and lunch choices it’s hard to decide which one to choose. My friend recommended Ditch Plains for their french toast. He said it was the best french toast in New York, so my friends and I decided to go there for breakfast/brunch to see what it was all about. When the french toast was served, it didn’t look like your average french toast. Most french toasts are made with white or Challah bread, but this french toast is made from a thick slice of french bread, with the outer edges crispy and almost burnt, and the inside steaming hot and fluffy. It is not your traditional french toast that is fluffy and soft and gets soggy with syrup. Even with syrup it still is half crispy on the outside and fluffy on the inside. Also, Ditch Plains soaks the bread OVERNIGHT in the batter to really get all the flavor soaked within the thick slice of bread, then serves the french toast the next day with powered sugar and warm maple syrup on the side. It was the best french toast I’ve ever had and totally worth the trip. We also ordered Mac n’ Cheese which was also incredibly good, and the warm crab dip and calamari which were all good too. 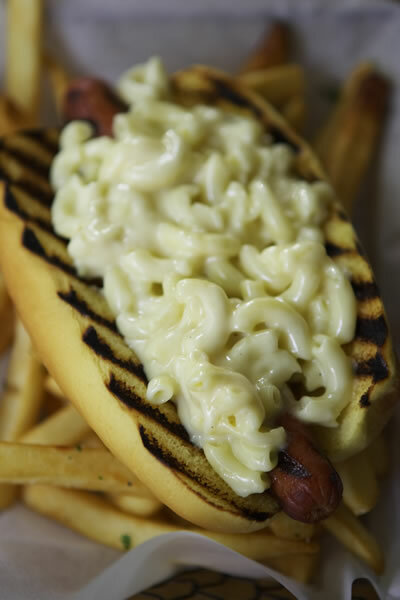 Next time I go I will have to try their famous Ditch Dog, their hot dog topped with creamy Mac n’ Cheese and of course the french toast again. If you like french toast, I highly recommend this place. It is unique and different than all the other french toast I’ve had in my life. It is huge & thick, so you might want to split it with someone and try one of their other unique dishes. Holy cow, went here for the french toast, partially cause of your review. WOW. Def one of thee best if not thee best french toast. Everyone at the table loved it. Went to the UWS one. Thanks for the tip.